For other people named Steve Burns, see Steve Burns (disambiguation). Burns was born in Boyertown, Pennsylvania. He attended Boyertown Area Senior High School in Berks County and graduated from there in 1991. Burns played in bands called Sudden Impact US, Nine Pound Truck, and the Ivys (which he has called a "Morrissey rip-off band") while in high school and college. He studied theatre under an acting scholarship at DeSales University in Center Valley, Pennsylvania in the Lehigh Valley. He dropped out of school and moved to New York City to then become a professional actor. He lived in a basement apartment near Times Square, finding his first success as a voice-over artist for ads and making appearances on Homicide: Life on the Street and Law & Order. He lives in Williamsburg, Brooklyn. In 1995, Burns auditioned for Blue's Clues, thinking it was another voice-over role. He had long hair and an earring. "I was a bit of a skate rat," he said. Initially, the Nickelodeon executives were not supportive of Burns hosting their new show; in subsequent auditions the show's creators requested that he dress more conservatively. (Burns reported that the creators, in a call-back phone conversation, asked him, "Could you not look like yourself tomorrow morning?") It became apparent, however, that he was the favorite with preschool test audiences. Executive producer and co-creator Traci Paige Johnson reported that of the 100 people they auditioned, Burns was "the realest". As Dr. Alice Wilder, Nickelodeon's Director of Research and Development said, "[T]here was just something about this kid, who was fresh out of Pennsylvania, who just knew where to look in the camera to really talk to kids. He was just right." Blue's Clues was an instant hit, due to Burns's performances as much as the show's format. He became "a superstar" among his audience and their parents, but unknown to everyone else, and enjoyed what he called being a "micro-celebrity, about as small a celebrity as you can be." As the New York Times reported, he "developed an avid following among both preteen girls and mothers. The former send torrents of e-mail; the latter scrutinize the show with an intensity that might make even Elmo, the red Muppet, blush." In 2000, People magazine included Burns in their annual list of America's most eligible bachelors. According to writer Diane Tracy, Burns was "destined for the part". Also according to Tracy, Burns was not the typical children's television host: "There is nothing syrupy about him—his humor is sometimes borderline offbeat, but never inappropriate for preschoolers." Burns became "very involved" with the production of Blue's Clues from the beginning. One of the most challenging aspects of being the host of the show was performing in front of the "blue screen" before the animation was added. Burns called it "maddening" and likened it to "acting at the bottom of a swimming pool." After nearly six years and nearly 100 episodes, Burns announced that he would be departing Blue's Clues in 2002. According to Johnson, Burns never wanted to become a "children's host". He loved kids, but stated "he could not make a life-long career out of it". Burns went on by saying "I knew I wasn't going to be doing children's television all my life, mostly because I refused to lose my hair on a kid's TV show, and it was happening, fast". The day following the filming of his final episode for the show, he shaved his head. This was something he wanted to do for many years, but the show's producers would not allow it. On the FAQ section of his webpage, when asked why he shaved his head, and if he had been trying to make a statement, Burns replied, "Yes, the statement is, 'We have male pattern baldness.'" Burns's departure caused a resurface of the rumors that had circulated about him since 1998. Burns replied, "The rumor mill surrounding me has always been really strange." Some of these "specious claims" included: death from a heroin overdose, being killed in a car accident, and, like what was rumored to have happened to Paul McCartney in 1966, him having been replaced with a look-alike. After Burns' departure, the Blue's Clues actor was then replaced by Donovan Patton as Steve's younger brother "Joe". Burns made an appearance on The Rosie O'Donnell Show to dispute these rumors, and he and co-creator Angela Santomero appeared on The Today Show to help concerned parents extinguish the fears of kids who may have heard these rumors. In an interview with The Huffington Post in 2016, Burns addresses the rumors about his departure: "People think I left the show to pursue a music career. That didn’t happen at all. I left the show because it was just simply time to go. I was pretty much playing a boyish, older-brotherish kind of character on the show. I was getting older; I was losing my hair; a lot of the original people on the show, like the people who created it, were all moving on to other careers. It just felt like time. I just had a gut feeling like it was time to go." Burns still owns the original Thinking Chair, which his non-animated dog Mickey reportedly loves to sit on. Burns consulted on the casting process for the upcoming revival of Blue's Clues, titled Blue's Clues & You, and helped pick the new host, Joshua Dela Cruz. Burns worked on material for his first album, Songs for Dustmites, for two and a half years at a small studio in his home in Brooklyn before it was produced by PIAS Records in late 2002. He started work on the album after he left Blue's Clues in 2002, and it was later released in 2003. He posted eleven songs on his webpage, and then realizing he needed help with drums and arrangements went to Steven Drozd of The Flaming Lips for advice. Drozd assisted Burns with six tracks, Lips bassist Michael Ivins engineered the album, and longtime Lips producer David Fridmann produced it. One of the songs from the album, "Mighty Little Man," is used as the opening theme for the CBS series Young Sheldon. Burns started a band, Steve Burns and the Struggle, and completed his second album, Deep Sea Recovery Efforts, which was released in 2009. Members of the Struggle include Drozd and Ryan Smith of A Million Billion. Burns acted in the 2007 horror-comedy film Netherbeast Incorporated with Darrell Hammond and Dave Foley, playing the part of a vampire. In 2008, he played an astronaut in Christmas on Mars, a science fiction film from The Flaming Lips. In March 2012, he appeared in the YouTube comedy series The Professionals. In late 2016, Burns released a children's album with Drozd, titled Foreverywhere. They released a video of the album's first song, "The Unicorn and Princess Rainbow". ^ D'Angelo, Joe (2002-04-30). "Ex-'Blue's Clues' host Steve Burns an indie rocker at heart". MTV.com. Retrieved 2007-12-18. ^ a b c d e Iovine, Julie V. (1999-11-18). "At home with—Steven Burns; A few clues in Brooklyn". The New York Times. Retrieved 2007-12-11. ^ a b c d e f Norris, Chris (2004-02-09). "Me and you and a dog named Blue". Spin Magazine. Retrieved 2007-12-18. ^ Yuan, Jada (October 10, 2010). "The 'Blue's Clues' Bachelor". New York Magazine. Retrieved 8 February 2019. ^ a b c d e f Jim Forbes (narrator) (2006-07-27). Behind the clues: 10 years of Blue (Short documentary). Nickelodeon. 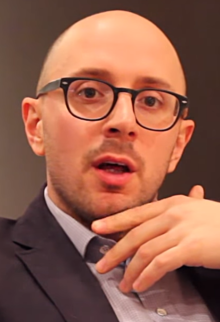 ^ a b c "Questions and answers: Steve Burns". Newsweek. 2000-07-08. Retrieved 2009-01-12. ^ a b Tracy, Diane (2002). Blue's Clues for Success: The 8 Secrets Behind a Phenomenal Business. New York: Kaplan Publishing. p. 46. ISBN 079315376X. ^ Kiesewetter, John (2002-04-29). "'Blue's Clues' puts on new host, new shirts". The Enquirer. Retrieved 2008-01-12. ^ Mifflin, Lawrie (1997-08-03). "The joy of repetition, repetition, repetition". The New York Times. Retrieved 2008-01-12. ^ a b Burns, Steve. "Frequently asked questions". Steve's Webpage.com. Archived from the original on 2009-03-29. ^ a b D'Angelo, Joe (2002-04-30). "Ex-'Blue's Clues' host Steve Burns an Indie rocker at heart". MTV. Retrieved 2008-01-31. ^ a b Mikkelson, Barbara (2007-08-05). "Demise and shine". Snopes.com. Retrieved 2008-01-30. ^ a b Bradley, Bill (2012-12-15). "Steve Burns Finally Confirms Why He Left 'Blue's Clues'". Huffington Post. Retrieved 2017-03-12. ^ Schmidt, Ann (2017-04-11). "Steve Burns explains why he left Blue's Clues 15 years ago | Daily Mail Online". Dailymail.co.uk. Retrieved 2018-03-22. ^ Carras, Christi. "'Blue's Clues' Reboot Finds New Host in Joshua Dela Cruz". The Hollywood Reporter. Retrieved 18 September 2018. ^ Wiiliams, Liam (21 November 2017). "Young Sheldon's Theme Song Is by Steve From Blue's Clues, of All People". TV Guide.com. Retrieved 23 December 2017. ^ Harris, Chris (2007-11-02). "Former 'Blue's Clues' host Steve Burns: Still not dead". MTV. Retrieved 2008-02-01. ^ "The Professionals". YouTube. Retrieved 2014-06-09. Burns discusses his Blue's Clue experience on an episode of "The Moth Presents"